TWiT provides news, commentary, help & how-to, reviews, and perspective on the latest trends in digital tech. Join Leo Laporte and friends LIVE, 7 days a week. This Week in Computer Hardware 513: Samsung Folding Phones: You're Doing It Wrong!!! TWiCH 513: Samsung Folding Phones: You're Doing It Wrong!!! All About Android delivers everything you want to know about Android each week--the biggest news, freshest hardware, best apps and geekiest how-tos--with Android enthusiasts Jason Howell, Florence Ion, Ron Richards, and a variety of special guests along the way. Viewers have a voice by sending emails to aaa@twit.tv or calling ... Más informaciones 347-SHOW-AAA. Records live at https://twit.tv/live every Tuesday at 8:00pm Eastern / 5:00pm Pacific. Leo Laporte brings some of the most interesting personalities in technology together to talk about the most important issues. Fun, relaxed, informative and always entertaining, count on TWiT for the best tech podcasts in the world. We're not talking dentistry here; FLOSS all about Free Libre Open Source Software. Join host Randal Schwartz and his rotating panel of co-hosts every Wednesday as they talk with the most interesting and important people in the Open Source and Free Software community. Share in the excitement and importance of ham radio - from tossing an antenna wire into a tree allowing you to talk to the world, to the importance of ham radio operators in time of disasters with hosts Bob Heil, Gordon West, George Thomas, Don Wilbanks, Valerie Hotzfeld, Amanda Alden, and Dale Puckett. Hands-On Tech is where you'll find hands-on reviews, previews, and unboxings of the hottest tech gadgets like the latest smartphones, notebooks, wearables, smart home devices, and more; featuring Leo Laporte, Jason Howell, Megan Morrone, and other TWiT friends. Leo Laporte and Megan Morrone love their iPhones, iPads, and Apple Watches so much they've created iOS Today, the TWiT network's first show highlighting the best apps, most helpful tools, coolest tricks, and essential news surrounding iOS. Contact iOS Today at iOSToday@twit.tv or 757-504-IPAD (4723). Learn how to make technology work for you. Join Megan Morrone and Florence Ion for 12 episodes as they explore, install, test, and review IoT (the Internet of Things) devices from smart speakers, smart cameras, fridges, ovens, light bulbs, thermostats, wearables, robots, and more. Feel free to send your questions and ... Más informaciones suggestions to knowhow@twit.tv. Get the latest Apple news and views from the top names in Mac, iPhone, iPod, and iPad journalism. A compendium of netcasts from the Chief TWiT, Leo Laporte. This feed includes all of Leo's audio or video releases and often includes his appearances on other netcasts. One feed to serve them all. Steve Gibson, the man who coined the term spyware and created the first anti-spyware program, creator of Spinrite and ShieldsUP, discusses the hot topics in security today with Leo Laporte. Tech News Weekly hosted by Jason Howell and Megan Morrone brings you interviews from tech journalists who make or break the top stories of the week. Megan and Jason give you more context and perspective, with an in-depth look at the fast-paced world of technology and how it is changing our lives. The New Screen Savers is a variety show for tech on the TWiT network. The show stars Leo Laporte and is co-hosted by Megan Morrone, Jason Howell, and Fr. Robert Ballecer. Viewers get live tech help, interesting guests, insights into the latest innovations, products, scientist, and trends, plus lots of fun things thrown in, too. There are ... Más informaciones special guest co-host appearances from Patrick Norton, Kate Botello, Kevin Rose, Martin Sargent, and more. The New Screen Savers is produced every Saturday and available for download on your favorite podcast subscription service. No one does a better job of explaining technology, computers, and the Internet than Leo Laporte. This feed contains the full audio of his twice weekly radio talk show as heard on stations all over the US on the Premiere Radio Networks. For show notes and more visit techguylabs.com. If you obsess about the details inside computers then on This Week in Computer Hardware, you'll find out the latest in motherboards, CPUs, GPUs, storage, RAM, power supplies, input devices, and monitors. Hosts Allyn Malventano of PC Perspective and Patrick Norton bring you the newest hardware, talk benchmarks, and even dive into the ... Más informaciones not-yet-released products on the horizon. This Week in Enterprise Tech explores the complex, cutting edge world of enterprise technology. Hosted by Lou Maresca, TWiET features IT professionals explaining the ins and outs of enterprise solutions. Leo Laporte, Jeff Jarvis, Stacey Higginbotham, and their guests talk about the latest Google and cloud computing news. Join legal blogger (and trained attorney) Denise Howell along with Stefan Szpajda as they discuss breaking issues in technology law, including patents, copyrights, and more. Your first podcast of the week is the last word in tech. Join the top tech pundits in a roundtable discussion of the latest trends in high tech. Every week Leo talks to the smartest people in the world about the most important topics in technology. 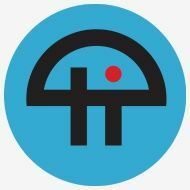 The TWiT.tv Netcast Network with Leo Laporte features the #1 ranked technology podcast This Week in Tech, along with other top-ranked online shows. Since 2005, our shows have provided news, commentary, help, how-to and perspective on the latest trends in digital tech from seasoned experts and journalists. Leo hosts and produces ... Más informaciones many of the shows, but as the network expands new hosts and participants are added. You can learn more about our shows here. All of our shows are free. TWiT is supported by advertising and listener donations. We limit the number of ads on each show, and we only accept advertising from companies whose products or services benefit our audience. Ripped from the pages of Adam Fisher's uncensored history of Silicon Valley, Valley of Genius features the hackers, founders, and freaks who made Silicon Valley boom, in their own words. Drawn from over 200 interviews with the brightest stars and hidden heroes of technology, Valley of Genius is required listening for history buffs, ... Más informaciones tech lovers, and anyone interested in the innovation, betrayal, and magic of Silicon Valley. A weekly look at all things Microsoft, including Windows, Windows Phone, Office, Xbox, and more, from two of the foremost Windows watchers in the world, Paul Thurrott of Thurrott.com and Mary Jo Foley of All About Microsoft.